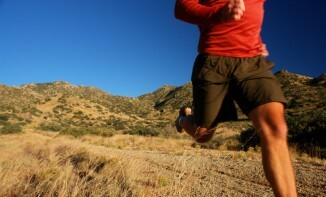 Ventura County is the ideal location for participating in races and local running groups. Our parks and trails offer varying types of terrain, from flat and easy to steep and challenging, and beautiful scenery along the way. A continuous flow of paths, running clubs, events and races provides plenty of opportunities for you to live a healthy, active lifestyle. The ConejoVallley Guide provides a reliable, up-to-date list of upcoming marathons, running and fitness events. Track Info offers road race information for Ventura and Santa Barbara Counties. Raceplace, offering a list of Southern California events. Roadrunner Sports, Newbury Park and Ventura– has a Training Group of various abilities. LA Roadrunners of Ventura trains together for the LA Marathon in March. LA Roadrunners – Ventura is a Saturday group that primarily focuses on training for the LA Marathon in March, this group meets on Saturday mornings in San Buenaventura Park. The Inside Track Running Club of Ventura is a club for runners, walkers, triathletes or anyone who would like to meet fun and athletic people. Vendurance Tribe is a Ventura based running club aimed to provide training opportunities and socials for runners of all abilities. We welcome new runners and will do our best to help you reach your running goals and meet fellow runners. Ventura County is full of MeetUp groups, which can be created and organized by anyone in the community. These groups are helpful in finding walking, running, hiking and cycling groups. Don’t procrastinate! The first thing you need to do is get out and start running. Go Slow & Steady. Start out easy. Pick a Race Now and Set Your Goals. Sign up for a race 3-6 months from now, so that you stay motivated to train. Buy Decent Shoes and Change them Often. It is recommended that you change your shoes every 300 miles, or every 3 months. Train with Others. A running buddy will keep you motivated to wake up early and go on a run instead of sleeping in, because you know that someone else is depending on you. Eat Right. Make sure to eat a well-balanced diet of food that agrees with you.